The specification attempts to document the vision, requirements, decisions made and decisions that still need to be made. In conjunction with all the drawings from Chuck Paine and third parties it makes up a pretty comprehensive description of the boat. It was continually updated and then "published" every 4-6 weeks. 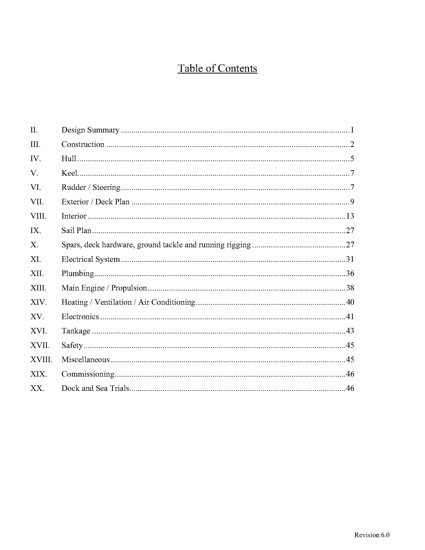 if you're really curious you can review all fifty pages of v7.1.